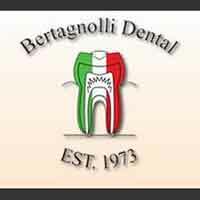 At the dental office of Bertagnolli Dental, our goal is to provide the highest quality dental care for you and your family. Whether you need a routine exam or oral surgery, we provide care for the entire family. If you have a tooth that requires oral surgery and are looking for an oral surgery dentist in Westminster, call our office today. When the nerve tissue inside your tooth begins to degenerate, a root canal is required to keep the tooth from abscessing. Without this treatment, an infection can settle in the tooth. A root canal will save both your tooth and the tissue surrounding it. We understand some patients may be fearful of oral surgery. For those patients we offer sedation dentistry for your comfort. We have a comprehensive list of restorative, general and cosmetic dental care services to meet the needs of your entire family. When you need an oral surgery dentist in Westminster give us a call and schedule your appointment today.